I know My Favorite Things Thursday is supposed to go up on Thursdays, but I had a draft for my grad school project due yesterday so I had to put it off until today. Enjoy!! 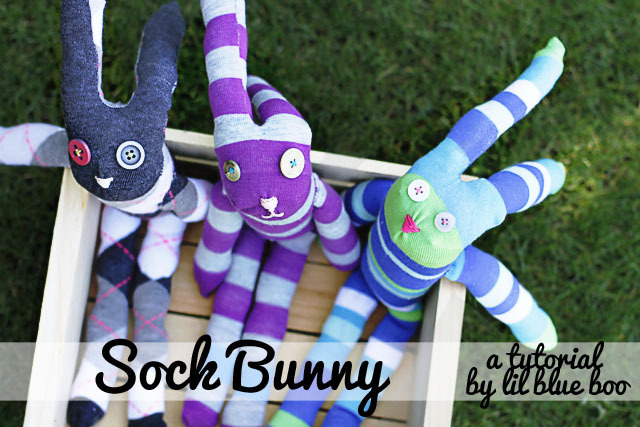 I have been in LOVE with these sweet sock bunnies since the day I pinned them. Ashley has a great tutorial on how to do them and they're really pretty simple. I just love those long ears and button eyes! 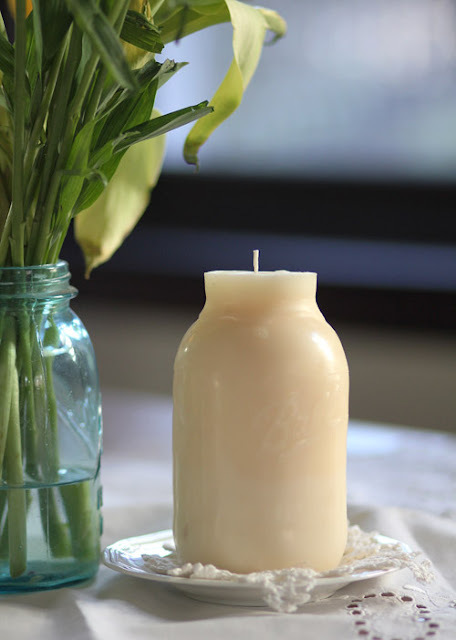 If I had kids and was trying to be preparing for Easter, I know I'd be doing some last minute things....So if you're like me, here's a last minute printable!! I just love the colors on it! 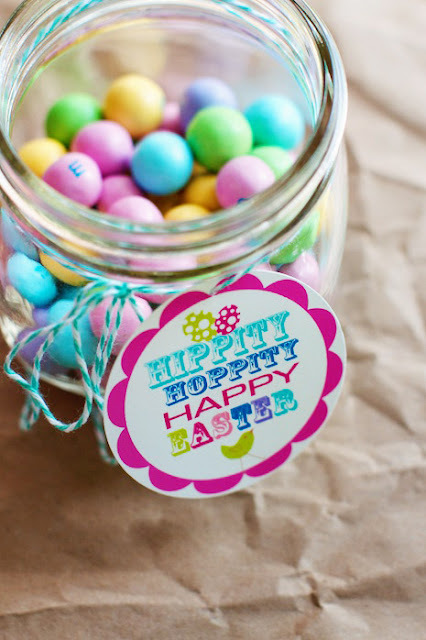 So cute and an easy way to dress up a little candy jar. This applique is too cute. LOVE the skirt. And the eyelashes. I wish I had time to whip one of these up for Mr. Lovie's niece. Next year, next year. How awesome is this? You've got to click over and read her tutorial on how she did this. SO cool. I think I may have to try it. She said the lettering from the jar came out better than it seems in the picture, too. Love these. Yeah, I know. I'm not sure about it either. But it's interesting, huh? I know if I wore a necklace in my hair to work everyone would think I had officially gone bonkers, but I kinda love it. 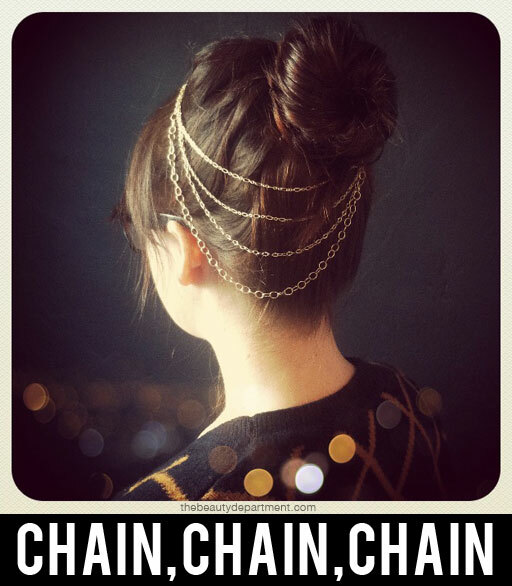 I love gold chain on anything, why not your hair?! The DIY is great. You should totally check it out. I think I probably need this immediately. And the billowy dress to go with it, of course. 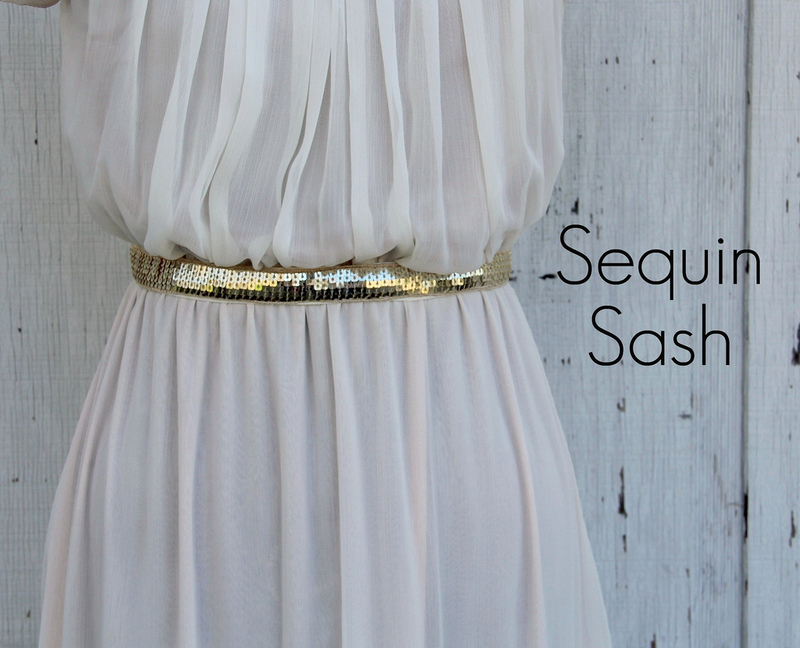 Go find out how to sew one of these beauties up. It looks like the perfect summer nights accessory to me! Playing with wire is super fun. 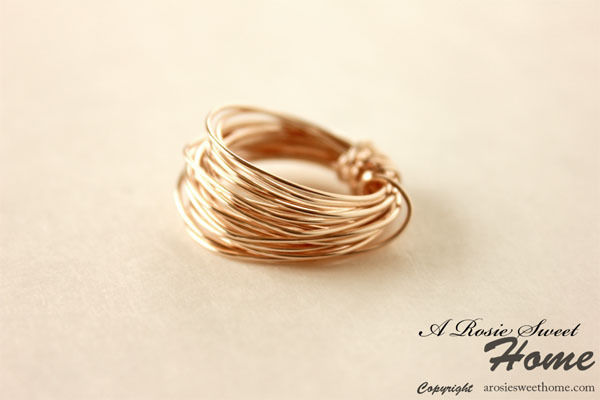 I love how Rose made this ring. I'm pretty envious of her. I feel like anytime I try to make anything like this, it turns out mangled. Ha. Maybe I just need some practice. 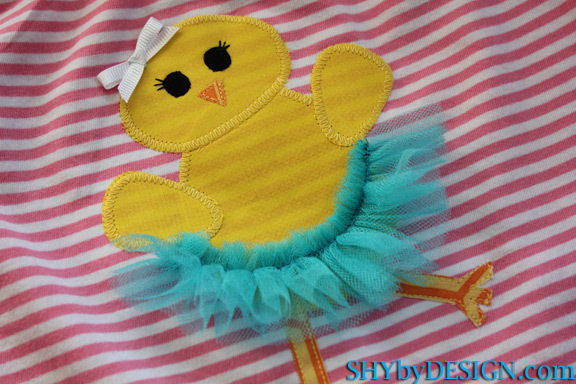 Click on over to see how she made it and how cute it looks on her. Did your heart just stop? Yeah, mine did, too, when I saw this. Beautiful and delicious-looking. Samoas (or Caramel Delights as they were called in my region growing up) were my favorite Girl Scout cookie when I was little. I still love them. 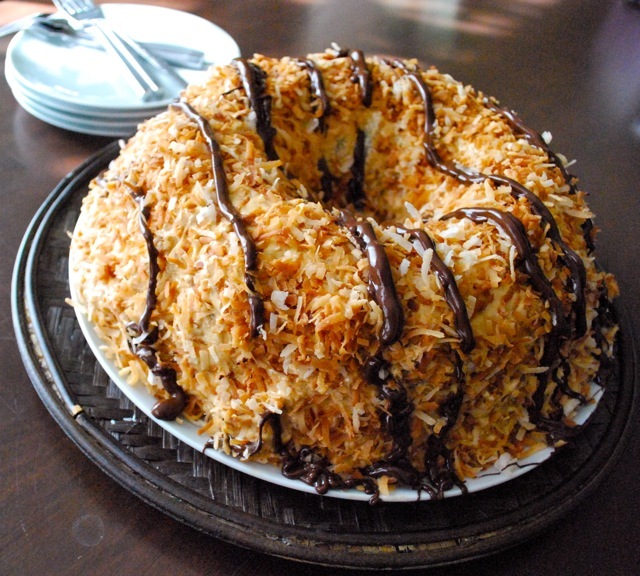 I can't imagine how good this cake is. Mm. Go get that recipe! In other news, I saw that Android just got Instagram! Fun! If you're on Instagram and want to follow me, look me up under Miss Lovie! Thanks for featuring my ring. I am so flattered. You have a lovely blog I will follow. LOVE this round up....how about that bunt cake?! Looks amazing!! 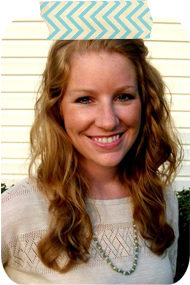 Miss Lovie...can you believe I have never been to your blog? Gasp! I know...craziness!I am seriously in love with your header and may just copy it. It is by far the coolest! Love that yellow in it! And the little heart with the needle through it by your name!! really...the header, the washi tape like tags...this is a wonderfully designed blog! I am sooo following you on facebook!